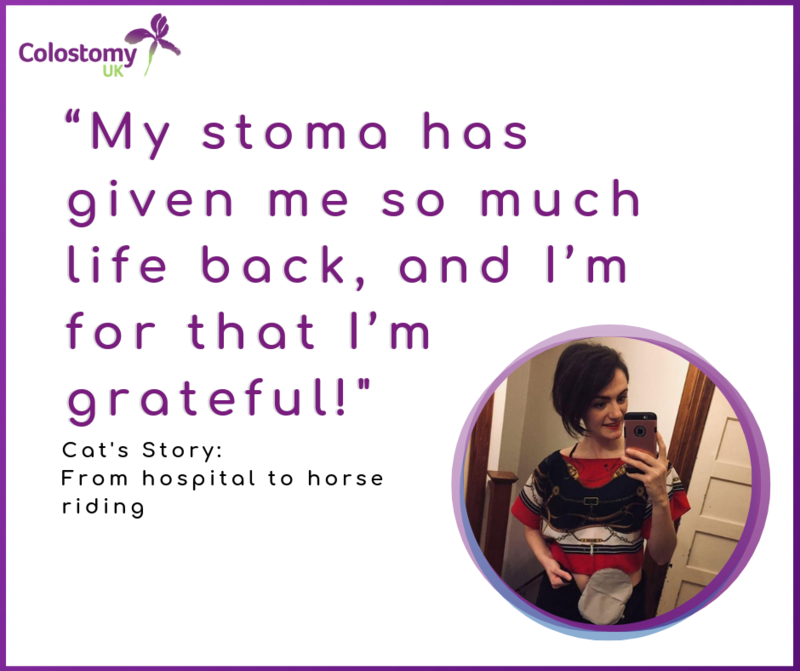 Like many others, I was wrongly diagnosed with Irritable Bowel Syndrome for 1 and a half years, until October 2017 when I was hospitalised and finally diagnosed with Ulcerative Colitis. I was put on steroids until Jan 2018, when unfortunately I was hospitalised again. I tried the medical route for 3 weeks including the infliximab infusion, but it didn’t work for me. By now I was so weak and just over 5 stone, and the only option left for me was surgery. On the 31st January 2019 I will have had my illeostomy for a year. I may be one organless, but within the year I’ve gained over 2.5st, I’m back driving, back horse riding, working full time and gone on some wonderful holidays! These were all things I was worried might have been taken away from me forever. It’s been a long journey, physically and mentally. Surgery may have taken away my colon, but my stoma has given me so much life back, and I’m for that I’m grateful! I have recently reached out to my Stoma Nurse and am looking at setting up a support group in my local area of Epsom, Surrey. I’m hoping to use my experience to give back to others and raise awareness of both Crohn’s and Stomas.